If you’ve been convicted of a misdemeanor or felony in San Francisco County, our law firm can reopen your case and expunge your San Francisco criminal conviction. We handle everything, from the very start, through the very last hearing, at a price you can afford. And, you never have to go to court. A successful expungement will improve the rest of your adult life. It’s not something to take lightly or to trust to the lowest bidder. The San Francisco Court system has its own local rules when it comes to expungements. 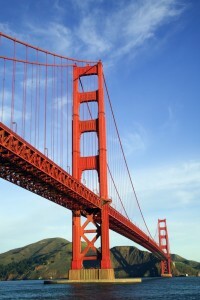 We know all the San Francisco County expungement rules and have experience in all the branches. We put our 25+ years of knowledge and experience to work for you. In most cases we can file your San Francisco expungement petition in court within 3 or 4 days of being retained. The time it takes for the judge to hold a hearing varies, but on average it takes about 45 days. Rest assured, we do everything possible to speed your case along, but we never cut corners. A botched expungement wastes your time, and money — but even worse – it can harm your chances for a future expungement. If you’re ready to change your life and escape the mistakes of your past, you owe it to yourself to invest in the best San Francisco expungement lawyer you can hire. We believe that’s us. No office visit is necessary. We handle everything, including the court appearances without you needing to attend. Start your San Francisco Expungement today. If you've been convicted of a misdemeanor or felony in San Francisco County, our law firm can reopen your case and expunge your San Francisco criminal conviction. We handle everything, from the very start, through the very last hearing, at a price you can afford. And, you never have to go to court.